As a compulsive list maker I find it really rewarding to set goals so I can come back and cross a few off later. I’ve always thought New Years was a good opportunity for self evaluation and goal setting. This Christmas was the first year in along time that I’ve had the time to make some nice presents for my family. After a trip to the local wood shop I began my first attempts at working with hardwoods. 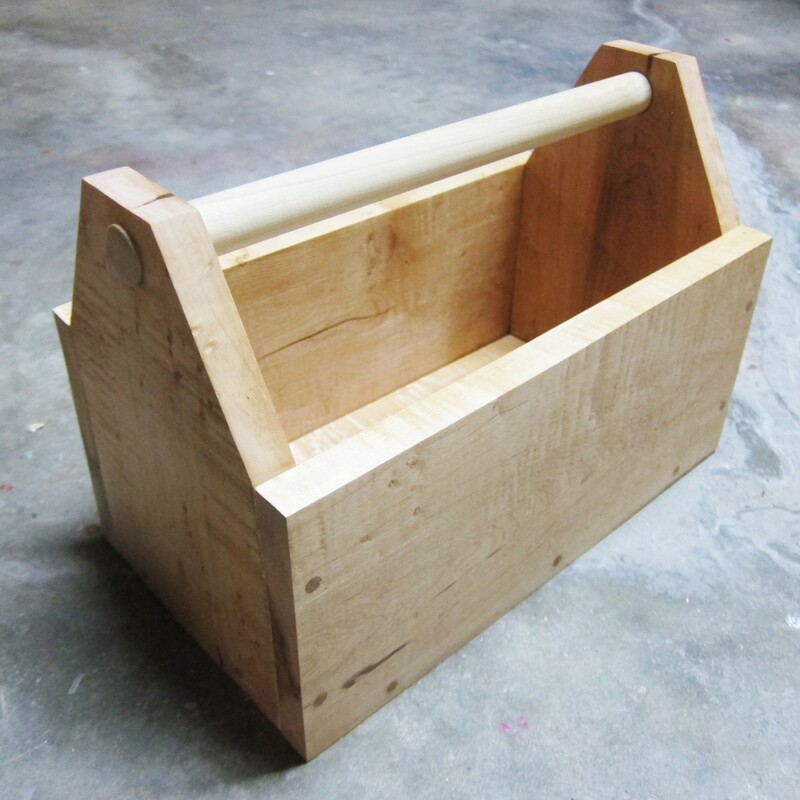 I’ve done woodworking before but it’s always been for larger items made with pine or plywood. The three projects I made were two stands to hold a vaporizor and e-juice, and a toolbox. I used padauk, birdseye maple and walnut. The two stands I made were pretty challenging, as I didn’t realize just how much time it would take to drill holes in 1″ lumber with a handheld drill. I think the project would’ve gone smoother and turned out better had I used a drill press. This was also the first time I’ve made a project that’s only held together with glue. The toolbox I made was quite fun. It was challenging to put together as the wood I bought turned out to be a bit warped. I bought a block plane to even out the sides of the wood, but soon realized that birdseye maple is about the hardest thing to plane.